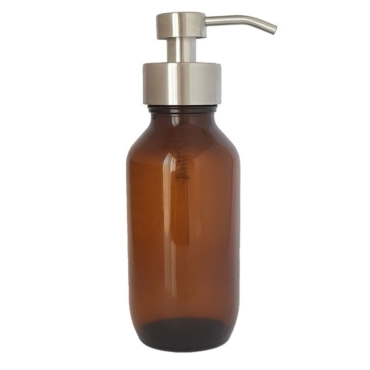 This reusable amber foaming pump bottle is great for storing and using your homemade hand and body wash. The metal foaming top is not only much hardier than its plastic counterpart but looks fabulous too! The amber colour is UV resistant, ideal for protecting light sensitive ingredients such as essential oils to maintain their beneficial properties. Looks great on its own or pair with a matching 500ml lotion bottle with metal top. Also looks extra special with a custom label.